Centurion provides truly independent VAT support to compliment the client proposition from a range of other professional advisory firms. Our professional partners need to secure expert VAT advice from a team they know and trust to support their clients. With our background in the major professional services firms we are well versed in the standards of client service that professional firms build their reputation upon – it’s how Centurion has built its own reputation since its beginnings in 1998. As the complexities and risks of VAT increase our professional partners look to access expert VAT support which can expand their own service offer to their clients or ensure that they deliver the best support possible to their clients when VAT issues arise. Day to day VAT management – submission of VAT Returns and Registrations are areas where many are comfortable to advise but when more complex land and property issues or challenges from HMRC occur – access to a fast, friendly, efficient, expert VAT team is invaluable. 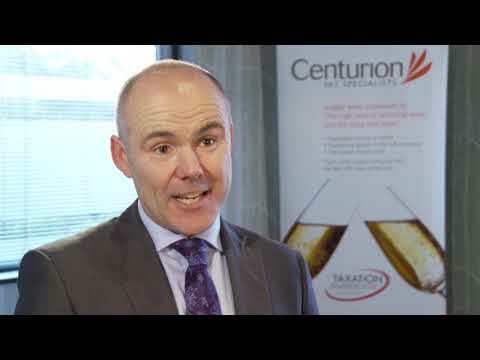 We have an ever increasing range of partners who use Centurion as an Expert “port of call” when they have clients with difficult VAT issues to manage. But it’s not just accountancy firms. We support lawyers where our industry sector knowledge allied with our VAT knowledge is valued – Charities, Universities, Housing Associations, Local Authorities for example. Insolvency firms and Direct Tax Specialist firms engage with us to deliver combined events on topical issues for their client markets. We support financial training bodies both in the UK and the EU – delivering VAT sessions to answer the training needs of their individual clients when bespoke projects are required. We also deliver VAT courses through UK commercial training providers. It is an affirmation, we feel, of the regard in which Centurion is held that we are regularly asked to speak at accountancy events across the UK run by the ACCA, ICEAW, AAT and CIMA for their members. Open the tabs below to see how each service is specialised to the Professional Services sector. Our professional services clients may engage us to deliver VAT training to their staff teams but also they will signpost their own clients to relevant VAT courses on our open training calendar. Joint Seminars: Centurion has delivered joint events with firms including McAlister & Co Insolvency Practitioners, Edge Tax, Heron House Financial Management, Broomfield and Alexander Accountants and legal firms including Hugh James, Geldards and Gregg Latchams. Consultancy VAT Support is as diverse as the client bases within our professional partner’s area. We engage through the provision of a VAT helpline for the relevant client handlers to be able to access export advice when needed. In addition we offer periodical reviews of client portfolios to highlight VAT areas of concern which may be appropriate to bring to their attention. We can also deliver an "Embed" VAT support service where one of our VAT team allocates time each month to sit within the partner firm and be visible to prompt any client related queries. Flexibility is key as often our professional service partners prefer that we deal directly with their client on a matter and we will therefore engage directly where this is preferred. Our five VAT team specialists have a wide range of experience for our professional services clients to draw upon to assist in answering their clients VAT queries and this combined with the area of sector specialisms within Centurion is a very powerful offering for small and medium sized firms to have on hand when their clients do experience VAT concerns. What started as a simple call from a property lawyer to sense check a planned acquisition by their client resulted in Centurion's VAT advice saving that client £300.000 in irrecoverable VAT. We always say at Centurion that there is no such thing as a "stupid" VAT question so our professional partners know that they'll not be judged by us - the important thing is that they know when to ask that question and vitally it's Centurion they call to have that discussion with. We are a bespoke VAT services team and have real independence therefore as opposed to mixed service teams to whom advisers may have a worry on client retention should they refer questions to them. We offer peace of mind from dealing directly with VAT experts with, individually, 30 years of experience in the tax. Sometimes the professional services firm finds out that clients trading may not be as their books were representing – such was a call where the accountant had done their very best to help but the deliberate nature of errors made by the client had resulted in an avoidance of a VAT registration for a number of years – urgent help was required to manage and disclose the situation. Whilst not a VAT technical issue as deliberate actions had been taken we have as a part of our network an experienced VAT investigation practitioner who we referred in and worked with the accountant and client to resolve the disclosure and negate the penalties to financial ones. Our help is more than just answering a technical question it’s about knowing where to turn as well.